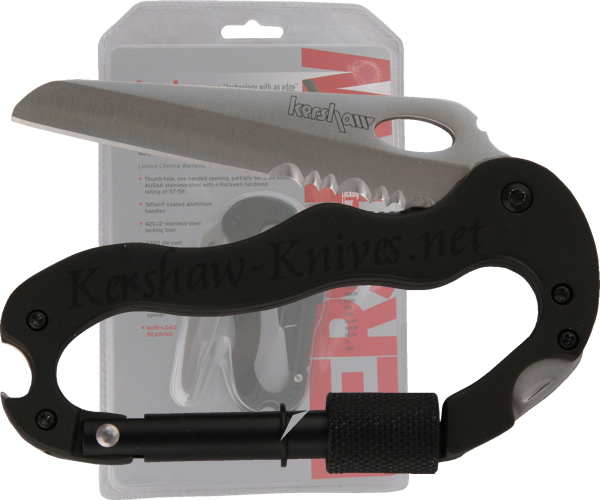 The Kershaw Carabiner tool model 1004NBX has an aluminum handle that is coated in black teflon. Being that it is a carabiner, this tool will attach to just about anything. It comes with a built-in partially serrated AUS6A blade, a phillips screwdriver, and a flathead screwdriver.